Probiotics – they’re the rock stars of the supplement world as academic journals brim with research demonstrating their clinical benefits, not only in the gut, but also throughout the body. Probiotics have been shown to reduce the risk of eczema, allergies and asthma; they improve digestive function, resistance to infection and mood; they can also reduce systemic inflammation and have even been shown to help with weight loss. But sadly, many individuals are taking over-the-counter probiotics that are not specific to their condition, or that do not contain researched strains. They may have been recommended the probiotic by a friend, or perhaps the retail assistant at a health food store. They might even have chosen the probiotic due to it’s name or clever marketing tactics. In many cases though, they may not experience the clinical benefits probiotics are renowned for, as they are not taking the right strain (or dose!) for their situation. In this case, it’s unlikely they’re getting much bang for their buck. In the case of probiotics, the individual strain makes all the difference! So what are probiotic strains? Like animals, probiotics come from a particular genus or family, and within that genus, a particular species. It is easy to understand when you think of the dog world. Within the canine family there are various species of dogs, such as labradors, rottweilers, poodles and dalmatians, from big to little dogs, from handbag dogs to guard dogs – there is a huge variety within the dog family. In the probiotic world, it is much the same: there are families of probiotics (such as Lactobacillus), which are then broken down into species (such as Lactobacillus rhamnosus), and then they are subdivided further into individual strains (such as Lactobacillus rhamnosus GG). Besides being from the same family, we all know there is a huge difference between a pitbull and a miniature poodle. The same goes with probiotics – knowing the family alone is not enough. It is not good enough to take a product simply marketed as Lactobacillus. You need to find the exact species and strain of Lactobacillus a research paper is talking about. Just as a great dane is not interchangeable with a chihuahua, Lactobacillus rhamnosus GG is not interchangeable with Lactobacillus rhamnosus CLR2. The specific strain of probiotic found within a capsule is the single most important determinant of what clinical effect the supplement will have. Individuals strains of probiotics are essentially individual strains of bacteria. They have different clinical activities, different metabolic by-products and different colonisation habits in the gut. Many strains of probiotics cannot survive the acidic environment of the stomach, and therefore have no clinical benefit lower down in the digestive tract. Other strains cannot effectively adhere to the gut wall, and therefore are passed through the gut with minimal effect. This is why choosing a probiotic strain that has been demonstrated to survive in and benefit the body is so important, not only for your health, but also for your wallet. How does this affect probiotic supplements? Probiotic supplements contain one or more strains of probiotics, in varying doses. The chosen strains determine what conditions or situations the probiotic should be used in, and what effect it will have on the body. 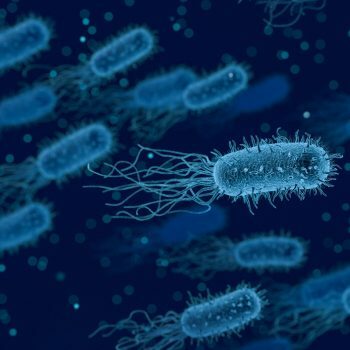 In the past, it was common to choose a ‘broad-spectrum’ probiotic that contained 10 or 12 different strains, as it was believed a multi-strain product would more closely reflect the diverse range of bacteria found in the gut. Over the last 10-20 years however, probiotic research has advanced to the point that probiotic prescribing should be far more specific and based on current scientific literature. At Perth Health and Fertility, we use research-based tools to find the specific probiotic our patients need. There is definitely no ‘one size fits all approach’. For example, we might use a specific strain for eczema or asthma, a different strain for antibiotic-associated diarrhoea, and a different strain again for irritable bowel syndrome; for each condition we see in clinic, we prescribe for according to the most up-to-date research. For consumers, it is so important to be informed and proactive when making decisions about one’s health. Sadly, there are too many probiotic supplements on the market that contain unresearched strains, ineffective doses, or unquantified probiotic activity. Many products don’t even state the particular strain on the bottle, simply stating “Lactobacillus acidophilus” instead of ‘Lactobacillus acidophilus CUL60‘. Rather than simply choosing a probiotic off the shelf, we recommend all patients speak to their naturopath about which strain (or strains) of probiotics would be best for them, as well as which specific products would be suitable in their situation. Not only does this save you from spending money on potentially ineffective probiotics, it also allows us to investigate, examine and address other factors that may be contributing to your condition, to ensure a truly holistic approach to improving your health.